At Horner's Supermarket, 28 ounce bottles of Sprite and Fresca were six for $1, eggnog was 59 cents a quart and apple cider was $1.19 per gallon. Susan Seiferling, a missionary in Colombia, spoke at Dodge Community Church. "She showed a series of slide views of the girls where she is a counselor-teacher and of the very beautiful country and the crops grown there," The News reported. "A large group heard her talk, although part of the usual congregation were up in the hills looking for deer." The service also featured a violin solo by Emery Keller with Margaret Westerberg on piano, which was "a real treat for everyone." Washington Federal Bank on Broadway Street was hosting a dress the doll contest, during which they gave out dolls to be dressed in any type of outfit and returned to be on display. "All dolls stay in the Estacada community and will be given out on Dec. 21 with the Christmas baskets," The News reported. Estacada High School senior Adam Woodbury was named the newspaper's student of the week. He was senior class president and president of the National Honor Society. His favorite subjects were math and science, and he planned to attend Stanford University after graduation and study pre-med. His hobbies included snowboarding, climbing and backpacking. 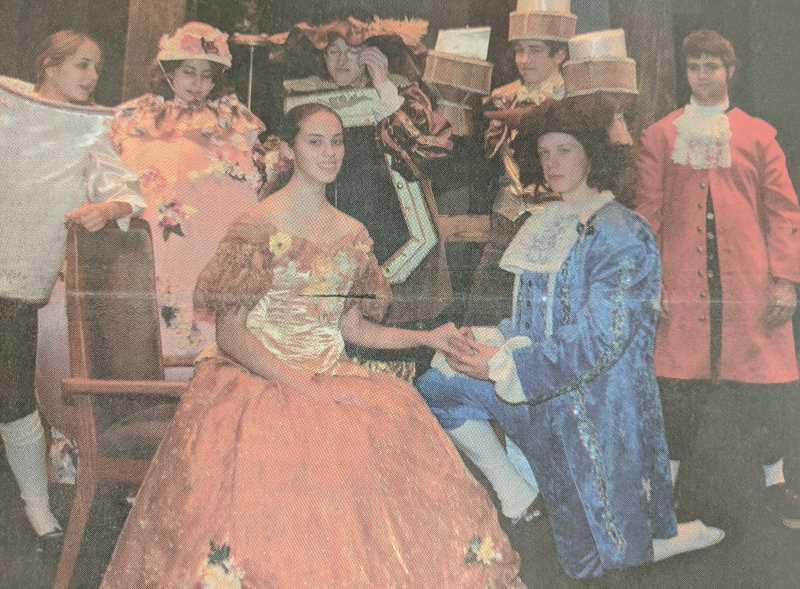 In the largest production yet for the Estacada High School Creative Arts Department, students were staging "Beauty and the Beast." The production included 40 students actors, 10 students in the orchestra and a 7 member technical team. The cast included senior Jessica Armstong as Belle, Erik McAbee as the beast, David Wiseman as Gaston and Jesten Kamers as Belle's father. Joey Triska and Noah Cotter shared the roles of Lumiere and Cogsworth. Out to Pasture Sanctuary recently hosted its annual Trick or Treat for the Animals, during which attendees could give vegetables to the creatures who resided there. Pigs, goats and sheep enjoyed treats during the event, which also featured cider making, face painting, raffle drawings, a puppet show, a haunted barn, a costume contest and a photo booth.